Many people as they age find that their usual diet and exercise regimen no longer gets them the fitness results they expect. Their bodies just don't perform in the same ways and their clothes simply don't fit right. That's because metabolism, muscle tone and bone density change as we get older. This also means that as we age, diet and exercise programs need to evolve as well. An iOme trainer will take the time to get to know you and understand the diet and fitness issues you face. Your trainer will then recommend an exercise program - along with dieting and nutrition strategies that can help you feel stronger, fitter and more confident. These might include options that go beyond strength and stamina training to include low impact activities such as Yoga, Pilates, Pioga and other stretching exercises. What are you waiting for? Take advantage of a free consultation with an iOme personal trainer. 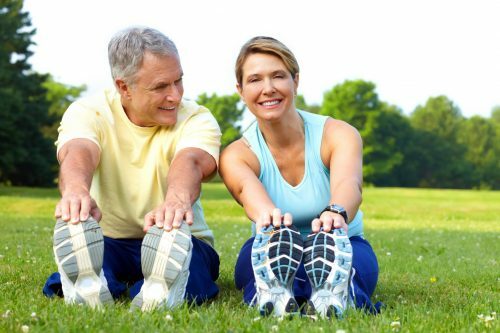 It can be a great first step toward staying fit and fabulous after fifty.